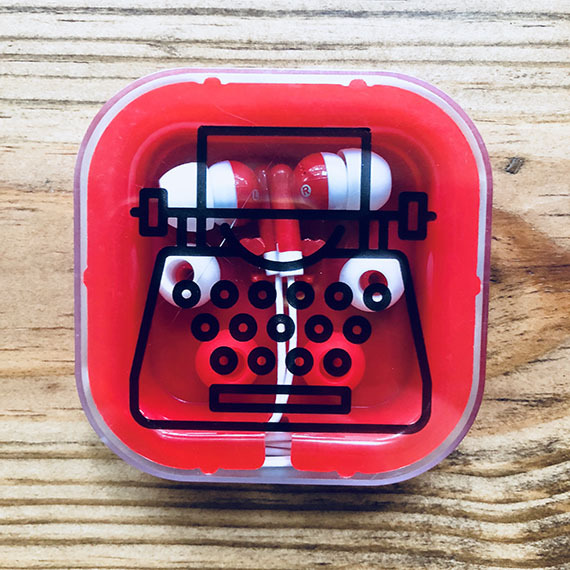 Our earbuds, in their Scribbler logo printed case, are the perfect companion for your WIP. Toss them in your laptop bag, nightstand, or vehicle glove compartment for on-the-go concentration as you clock that work count. Three different size earbuds help you get the perfect fit.